This pair of beaded red & green jhumka earrings provides the perfect amalgamation of red and green hued stones along with white beads to provide Read More..an alluring choice of jewelry piece. The red stone is present at the center of the stub while smaller green stones encircle it. 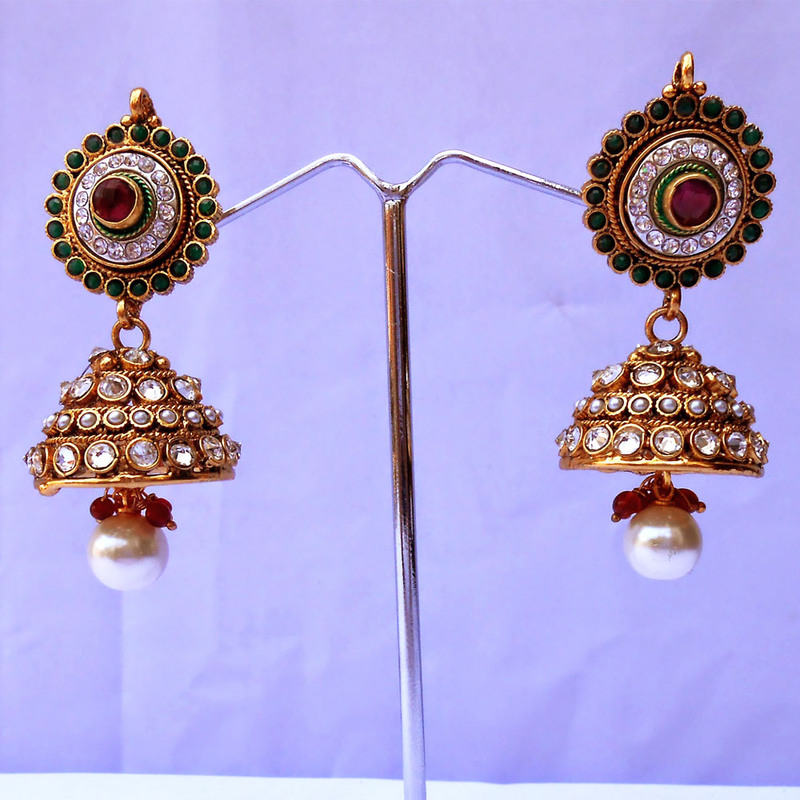 Moreover, white stones and beads stud the jhumka portion while a giant white bead hangs from the gold plated brass casing. Thus, this pair of earrings features the perfect combination of warm and soothing colors to make its wearers look pretty. Show Less..